An agenda is the list of the items that are needed to be focused at during a specific discussion. It contains all the reasons why a discussion of certain matters has to be made. It also specifies the formal discussion’s objective to assure that all the reasons for the meeting are tackled and are covered. 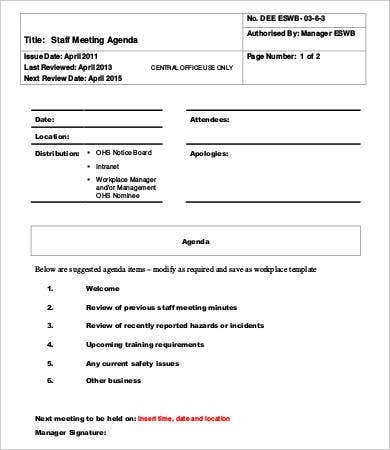 We have available agenda template samples for you to download or use for your reference. 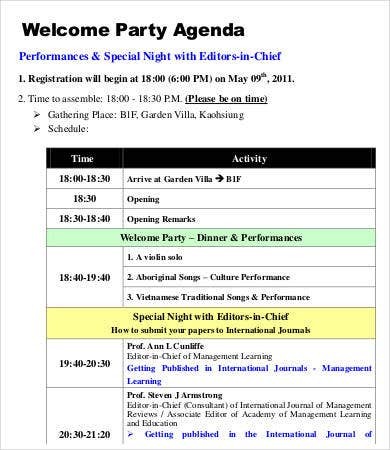 Agendas for a formal gathering are very important as it gives directive on how all the information and how it is relayed will flow. It organizes all the things that are needed to be discussed hence creating a cohesive and efficient exchange of information among the attendees. 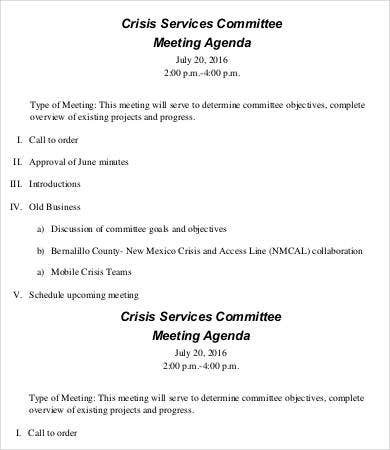 Another tool you can use is our checklist for meeting agenda. 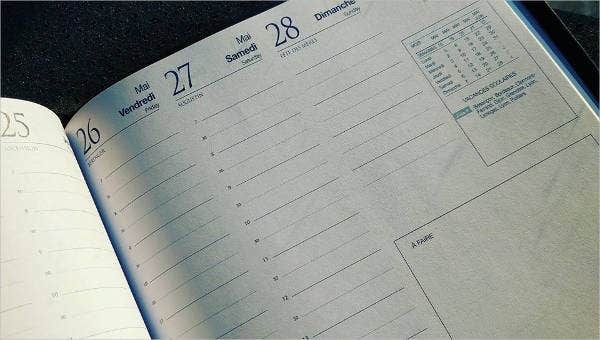 These will help you design a meeting agenda more effectively. What Makes Up an Agenda? Call to order. This is done by the Chairman or the leader or president of the meeting. It gives emphasis for people to prepare themselves for the meeting and serves as a signal that the discussion is about to start. Roll call. 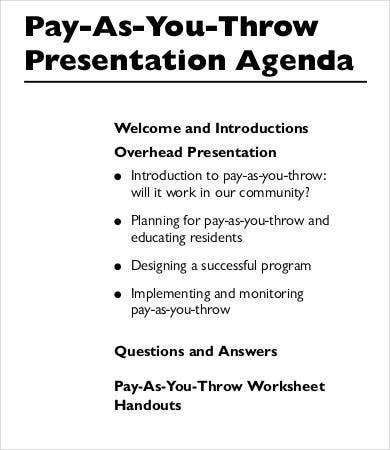 All the expected attendees must be present during the meeting. Approval of the previous minutes of the meeting. What has been discussed in the past meeting shall be tackled, especially if there are plotted plans that needs developmental reporting. Items that are not provided with solutions or of which were given but does not work shall be included again in the current meeting and must have another set of plans that will help it improve its condition. Introduction of the items to be discussed. 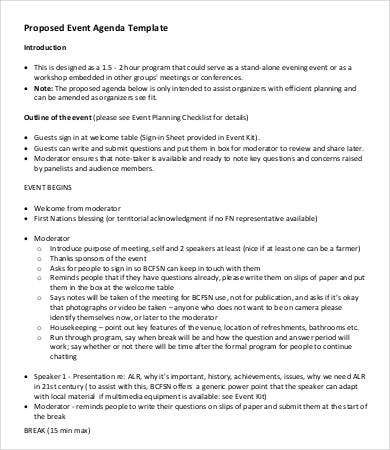 A list of the items that will be the focus of the formal discussion must take place to give the attendees an idea of what they are going to talk about. Discussion of objectives and how set goals can be achieved. As the body of the formal discussion, this part will only work through proper communication and allowing all the members to be open about their insights, decisions and suggestions. Discussion of the things achieved in the current meeting and items of focus for the next meeting. 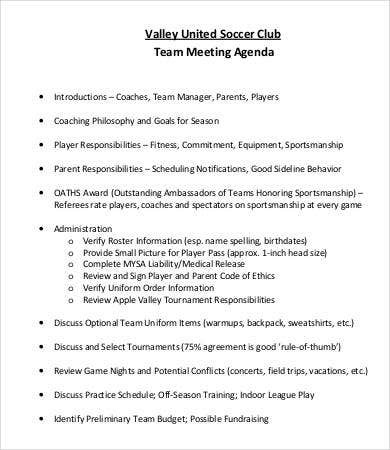 After all has been discussed, there will be a checklist to be done which includes items that have been discussed and given proper actions and solutions, items that are needed to be finished come next discussion, and other goals that needs to be reiterated on the following meetings to come. Adjournment. This is a formal way of ending the meeting done by the head of the discussion panel as well. 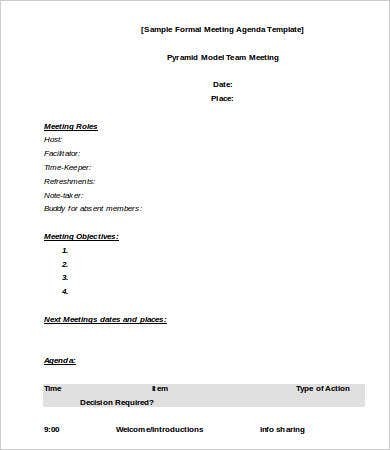 Aside from formal agendas, we also provide downloadable meeting agenda templates and business agenda samples and formal meeting agenda templates. They are kinds of a formal agenda that are used for their specific purposes. A formal agenda is very important and must always be considered as it serves as the backbone of the meeting. A certain discussion can be unorganized and inefficient if it will not follow the format that it needs to follow. 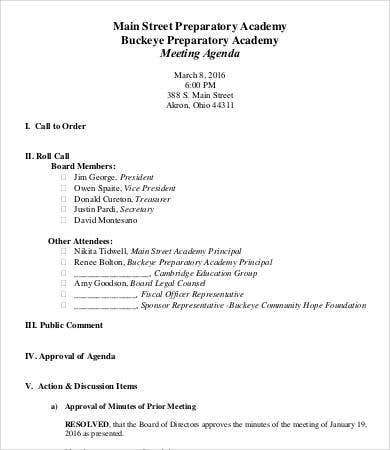 Also, important parts of why the meeting has been done may not be covered because of focusing on other items and straying from a current topic discussion once a new topic has already been opened. 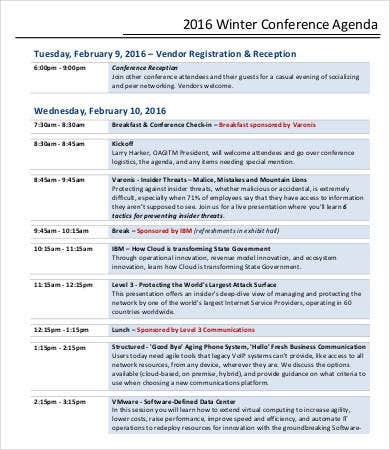 Should you be familiarized with a formal agenda already, you may also download our event agenda sample. 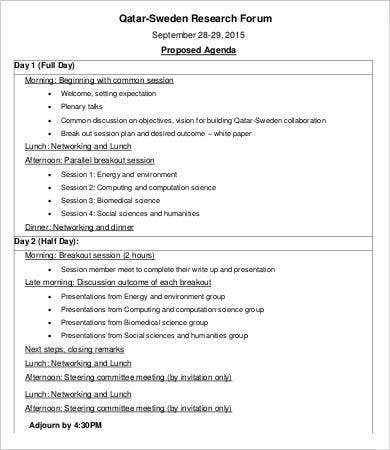 For a more laid back gathering, try our informal meeting agenda.